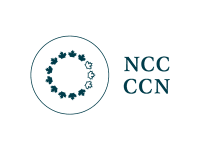 Ottawa Garden Days joins Canada’s coast to coast celebration of gardens and gardening beginning Saturday, June 16 to Sunday, June 24. Mayor Jim Watson officially proclaimed June 16 to 24 as Garden Days in Ottawa this morning at Maplelawn Historic Garden. Members of the Gardens Ottawa and the garden community were on hand at the Richmond Road location to mark the occasion and kick off a roster of activities. 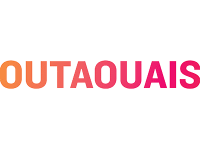 Thanks to the work of the Gardens Ottawa and an active and collaborative local gardening community, Ottawa has the most activities scheduled of any Ontario municipality, from a sketching and painting garden workshop to creating a fairy garden planter. There are also numerous tours you can join. Ottawa Garden Days invite you to visit your favourite garden or go discover a new one. Check website www.gardensottawa.ca for more info. Gardens Ottawa also took this opportunity to acknowledge all the volunteers who maintain and care for various heritage gardens in Ottawa including Maplelawn. 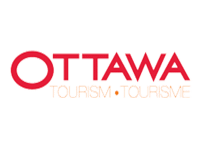 Garden Promenade organizers announced that coinciding with Ottawa Garden Days is the debut of a weekly Lee Valley Garden Promenade Tour on Saturday mornings from 9 am to 11 am starting from Metcalfe and Sparks Streets in downtown Ottawa. Garden guides will offer insightful horticulture knowledge as the Lee Valley Garden Promenade Tour bus winds its way through Ottawa-Gatineau’s 50+ gardens from June to September. Ottawa Garden Days is made possible with the support of many volunteers and business partners including Lee Valley Tools, Artistic Landscape and Designs, Canadian Museum of Nature, City of Ottawa and Gatineau, Community Garden Network of Ottawa, Knock on Wood Communications & Events, Lafleur de la Capitale, Landscape Ontario, Arbor Memorial , Ritchie Feed and Seed and the National Capital Commission. 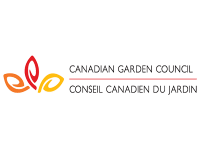 The Ottawa Garden Council (OGC) facilitates communication and connection between the variety of groups and organizations that are committed to contributing to quality of life and the beautification of Ottawa through the creation of, and care for, gardens and green spaces. 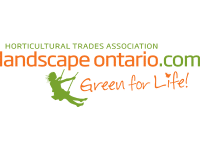 The OGC is a voice for the garden and landscape community with such entities as the municipal government, other groups and organizations, the private sector and Ottawa residents in general, and facilitates connection and collaboration between the garden community and the garden and landscape industry. A core mission is to encourage residents, businesses, associations, organizations and government to recognize the value and potential that green spaces, in all their forms, have to offer for our community, our physical and mental health, and our environment as a whole. Kita Szpak, Knock on Wood Communications +Event Inc.